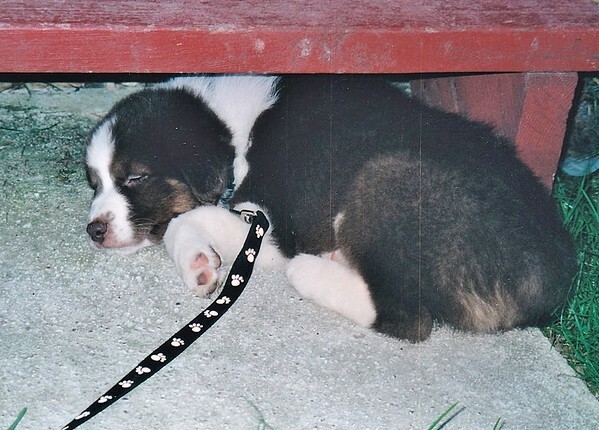 Our beloved Jessie, our beautiful Australian Shepherd, almost 11 years old passed away on February 23, 2015. We miss her terribly! This is my way of remembering her. Her first day home and all tuckered out.